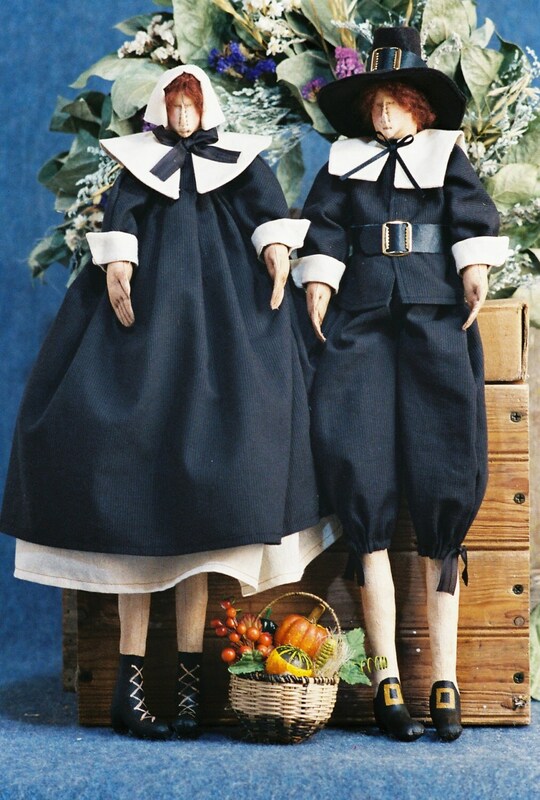 Set of 20" Thanksgiving Pilgrims. They are made of muslin, then are painted and stained. They will make a wonderful addition to your Thanksgiving holiday décor. PDF download comes with easy to follow instructions, Doll & clothing patterns and complete suggested materials list. Super original pattern. Great service.